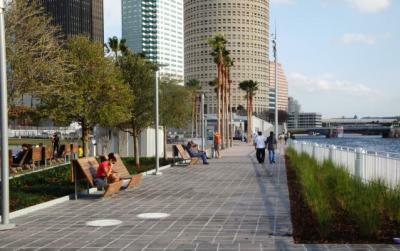 Exercise while exploring and learning more about Downtown Tampa! The Tampa Downtown Partnership is offering free guided walking tours of Downtown Tampa the first and third Friday of each month through May. The tours are from 12 – 1 p.m. and whether you’re working or have the day off, they are a perfect mid-day break to enjoy the great weather and waterfront views. The next tour is tomorrow, Nov. 15 and will meet in Lykes Gaslight Square. Themed “All Aboard,” the tour will feature Tampa Union Station. The walks are 1-2 miles, and no reservation is needed. Visit the Tampa Downtown Partnership&apos;s website for more information and the full schedule.